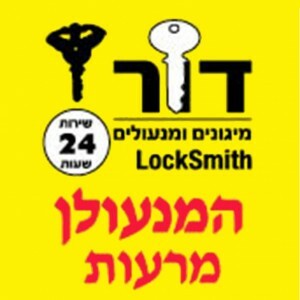 Experts in security solutions, locksmith services and gaining entry to locked houses and cars. Always up to date with the latest technological innovations in the field of locks and entry systems. Helping to protect your home - your sense of security is the top priority! Professionalism - extensive experience in a wide variety of locks, highly skilled in identifying problems and providing effective and quick solutions, without causing damage! Reliability - reputation is based on reliability and integrity. Top notch service - returning customers will testify again and again to the efficient, prompt and courteous service! Fair pricing - You are welcome get in touch for a quote. Door Migunim was founded in 2008 by Uri Kremnitzer, after retiring from a military career in the Israel Air Force. Uri served as a technical officer in the Air Force and acquired vast technical experience during his years of service. He holds a diploma as a machine and control technician, and as a certified electrician. in 2005-7 specialized in the filed of modern and old-fashioned locksmithing in the framework of professional studies and specialization. Call now for a no obligation consultation and price quote!